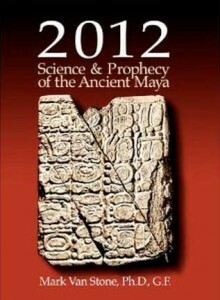 You are here: Home / Archeoastronomy / Ancient Aliens 2012 Show–What would the Mayans say? Ancient Aliens 2012 Show–What would the Mayans say? Update 9:02 p.m. CST: Well, the second show tonight has started and the summation is this: WE ARE ALL GOING TO DIE in 2012. We have heard from Dr. Mark Van Stone’s representatives and will be talking with him after he’s had a chance to see tonight’s shows. LOL, and we just saw he’s in the show. How cool is that? UPDATE: We now are 24 minutes into the first show and wow, this isn’t as far-fetching as we thought it was going to be. In fact, they’ve pulled out some pretty cool stuff. The 3D statue of the Mayan king, Pakal, was pretty cool. And what is it with David Childress? He’s not said, “Extra Terrestrials!” at the end of a sound byte yet! He’s not even said it at all! And the bumpers with Giorgio Tsoukalos is going to inspire a hair fashion phenom, we can just feel it. We have a feeling going in to this new series that this will be an hour of great exaggerations of fact and the taking of liberties with editorial license. Were we on a young adult and it being a Friday night, most likely tonight’s episodes, (there are actually two) would seem to necessitate some sort of drinking game. For instance, every time author David Childress is on and finishes a soundbyte that ends with the words, “Extra terrestrials,” then everyone in the room should have to take a drink. Every time the announcer says the words, “ancient astronaut theorists,” then everyone in the room should have to take a drink. Every time Giorgio A. Tsoukalos @Tsoukalos appears needing to do something about that tan and his hair, well, you know. There are plenty of good sources to counter the nonsense that’s being stirred up about 2012 and what the Mayans did or did not suggest might happen this December 21, 2102. One learned professor who has spent his career studying the Mayans, Dr. Mark Van Stone, and who we’ve followed says that on that day, it’s a Friday, he’s going to get up and go to the office and grade papers. The book sells for $8.95 electronically and we’ve been going through it. It paints a much different picture than the one Tsoukalos, Childress et al are sharing through H2. Okay, it’s almost time for the show. Just for the fun of it, “EXTRA TERRESTRIALS!” Okay, drink. It’s going to take one or two or more to get through the show without an eye roll or more….